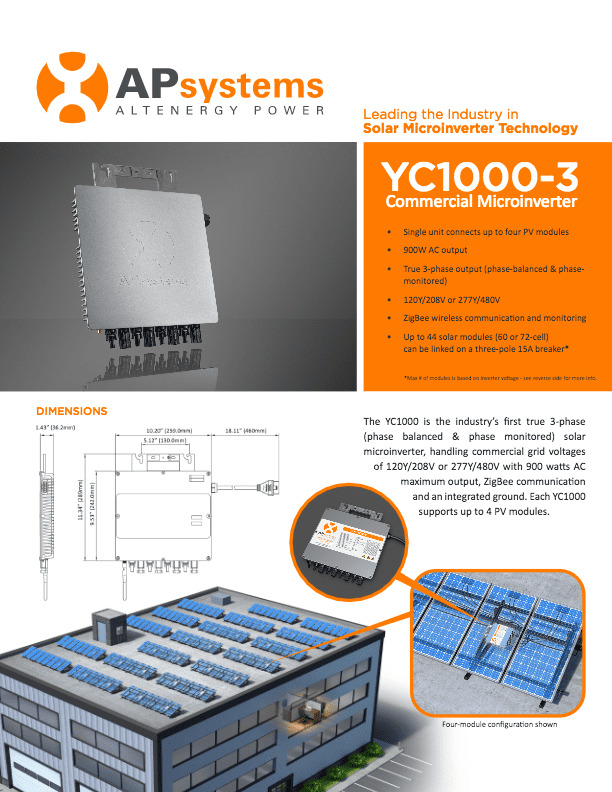 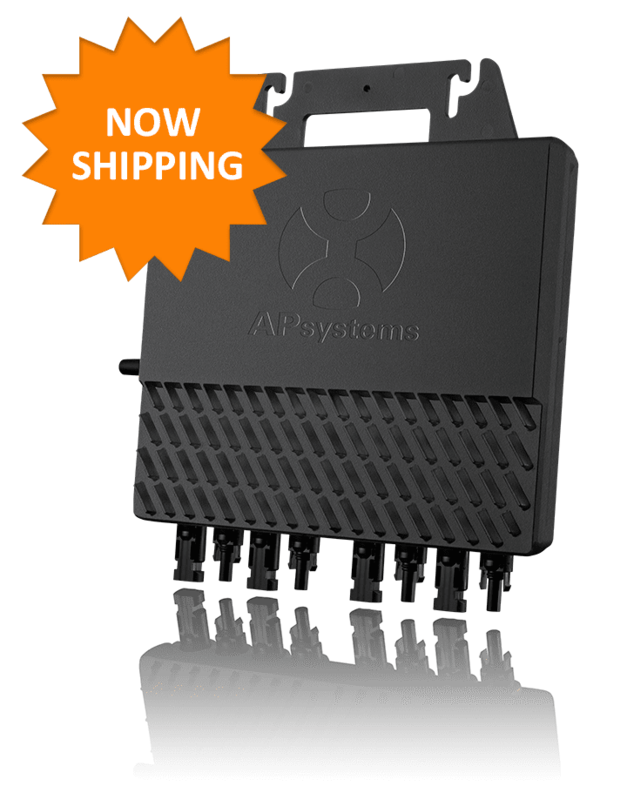 White paper: APsystems improves compatibility with Victron storage solution. 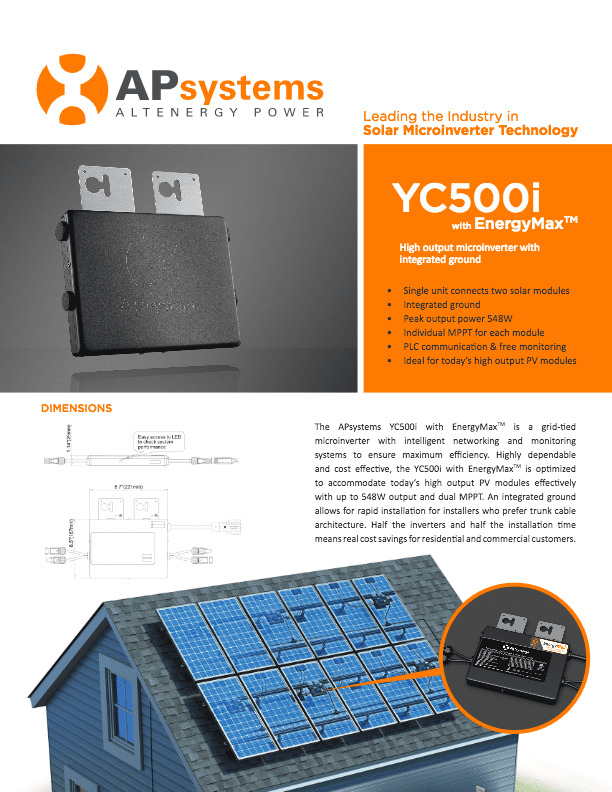 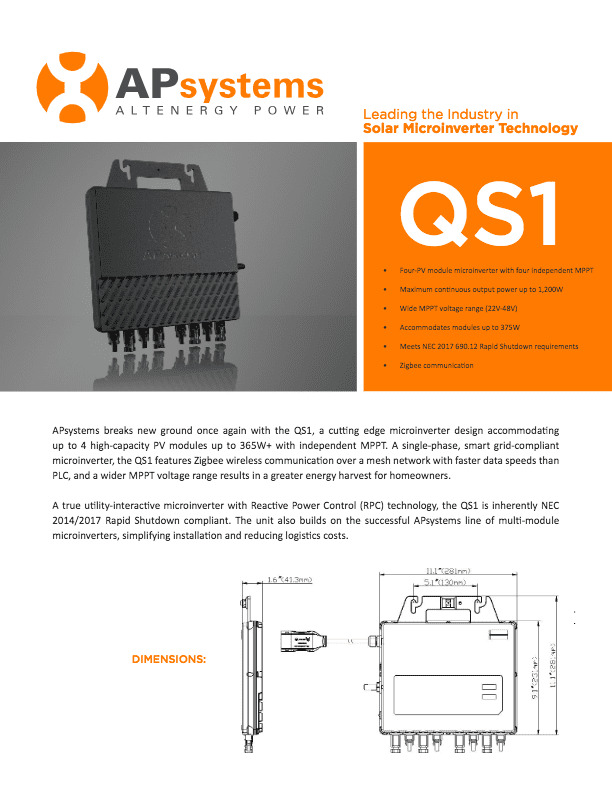 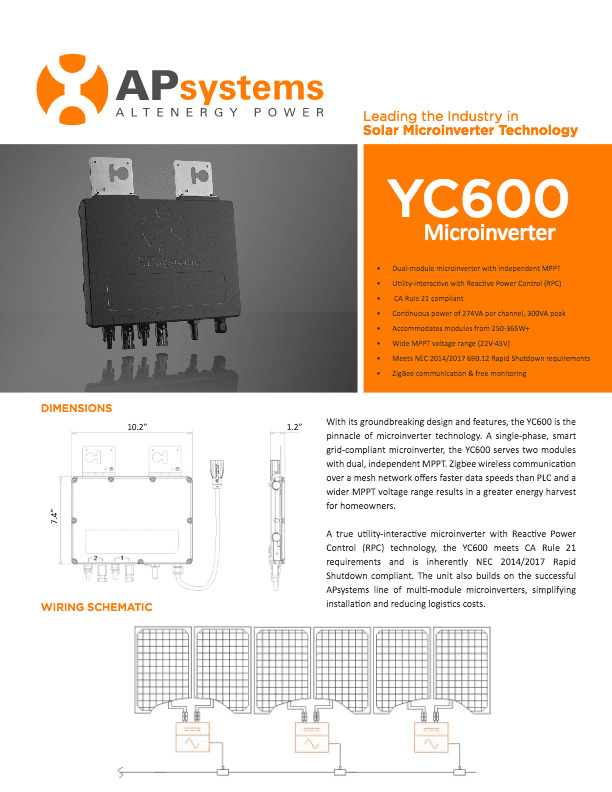 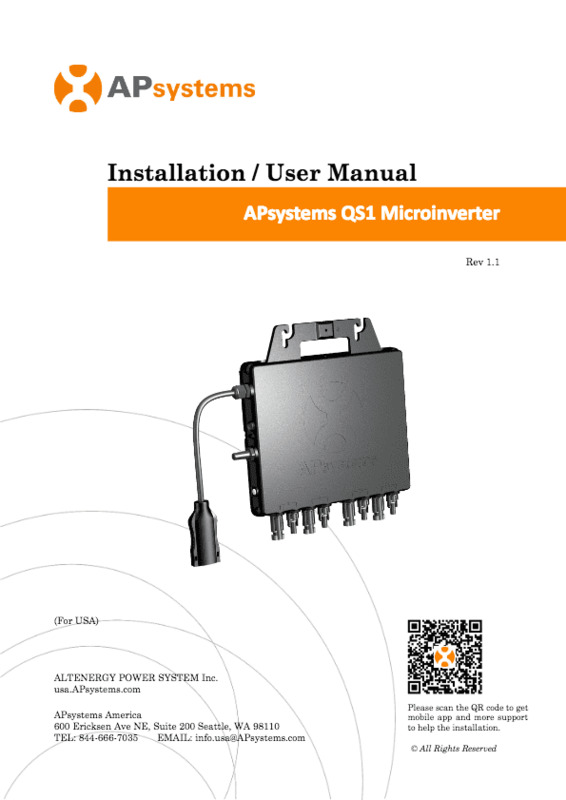 APsystems proudly offers 10 and 25-year warranty options on its microinverters. 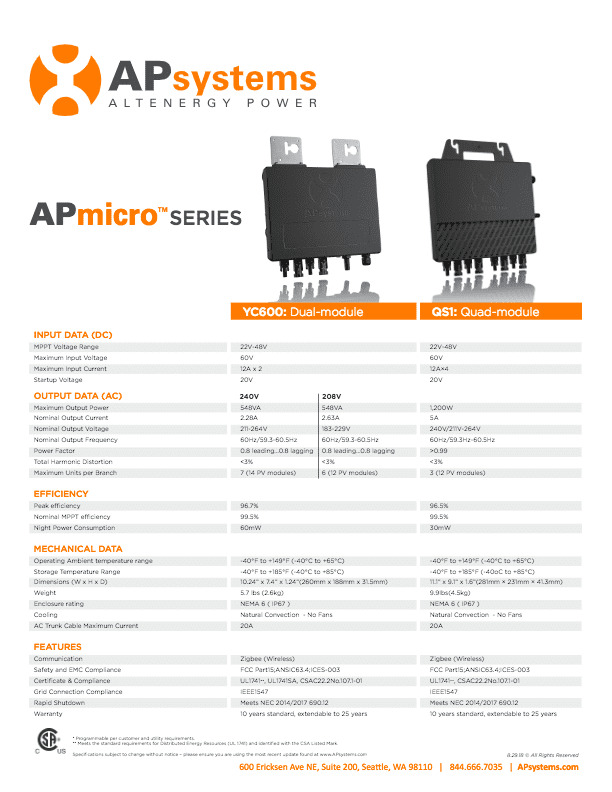 For more details, see warranty documents below. 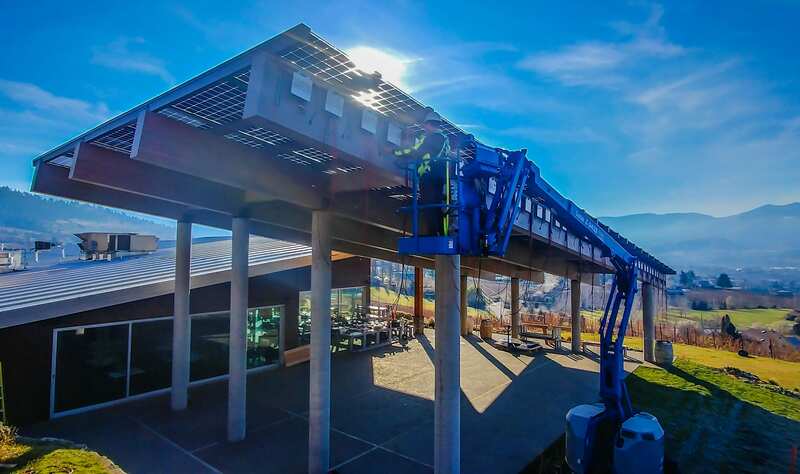 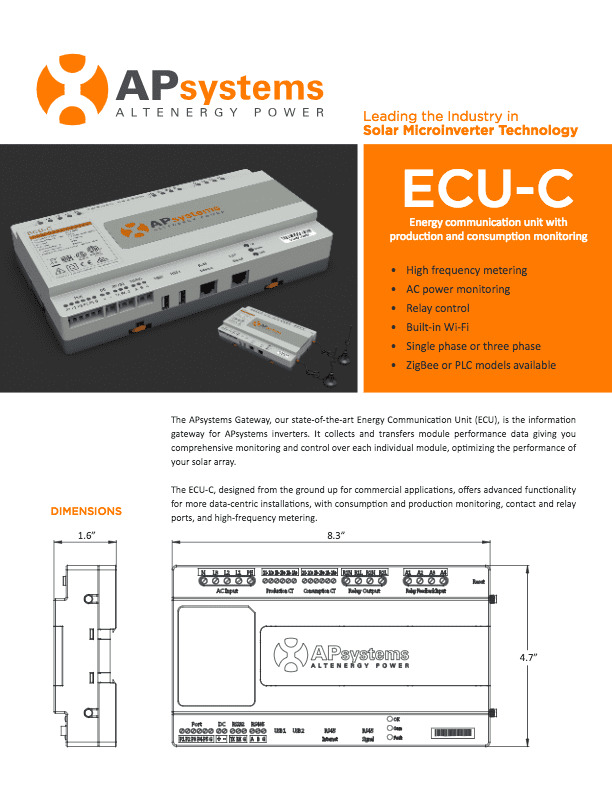 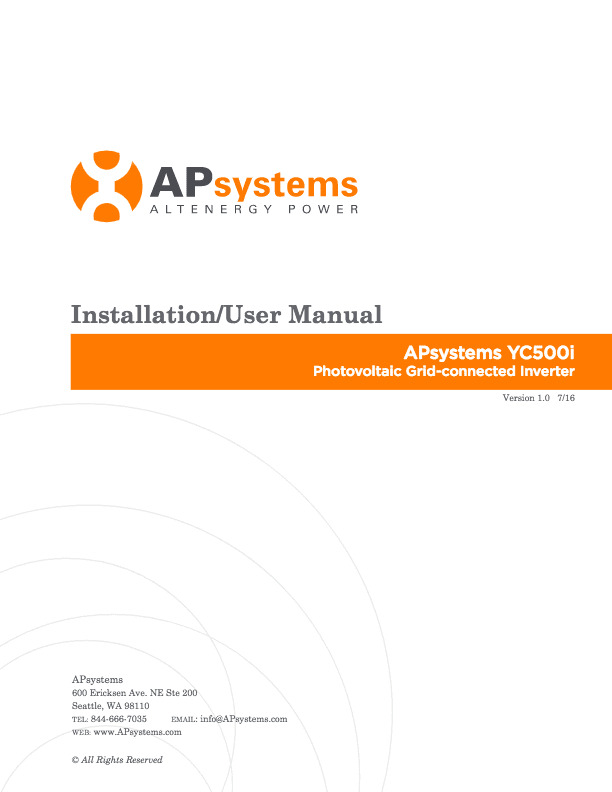 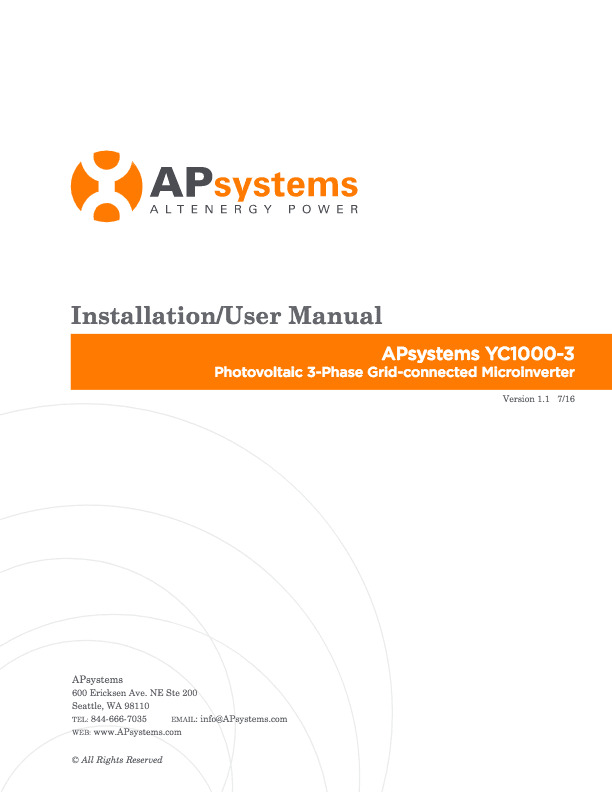 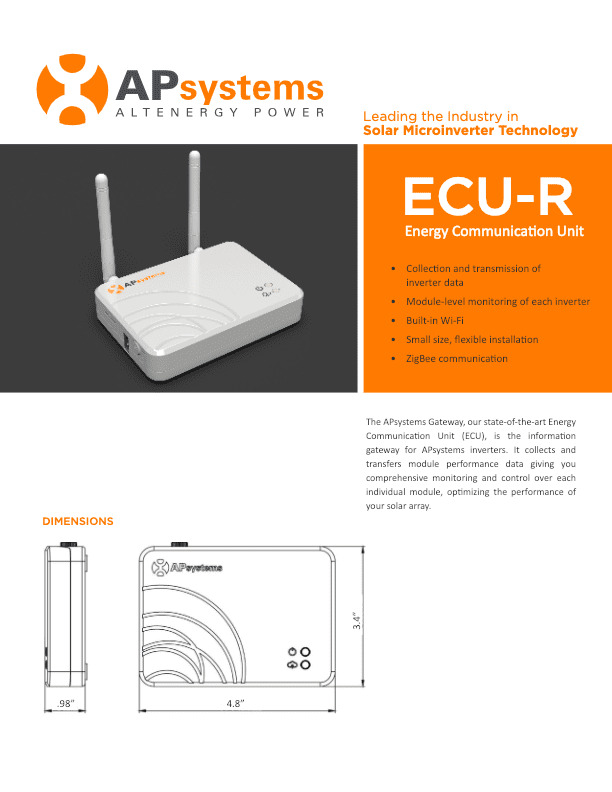 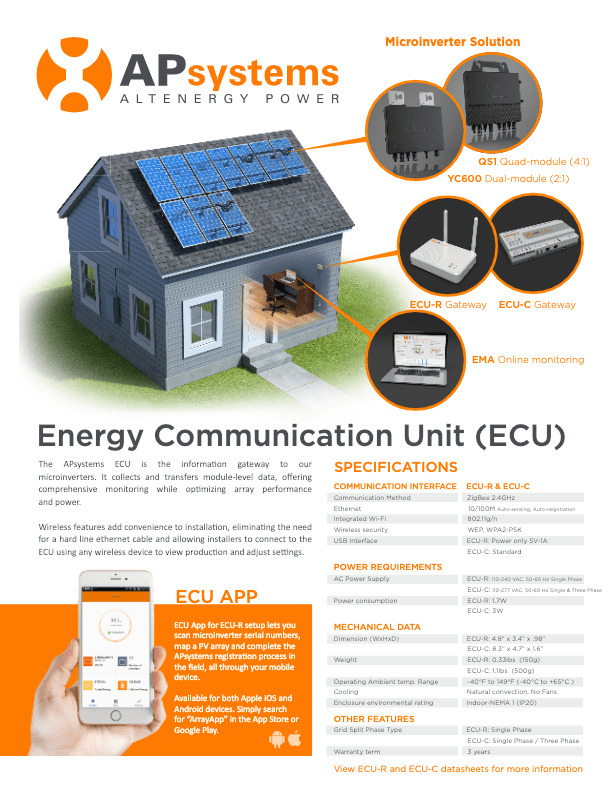 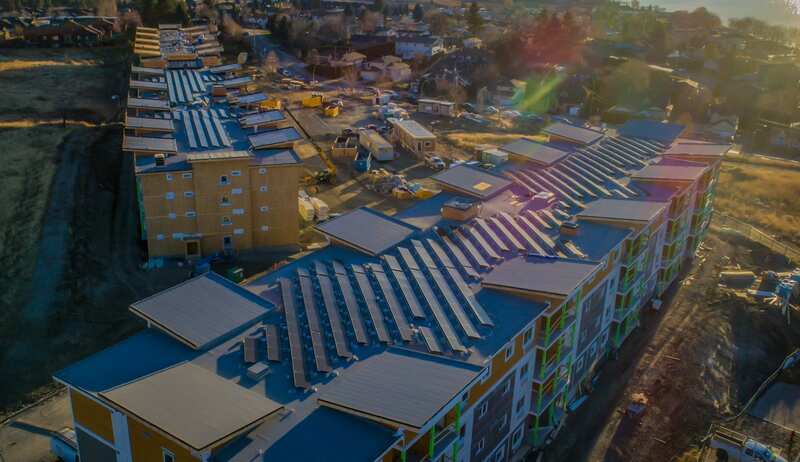 For U.S. market only: APsystems warranty upgrades to 25 years must be made within 30 days of installation or EMA activation, whichever is earlier, or any time prior, regardless of the shipping date of the inverter. 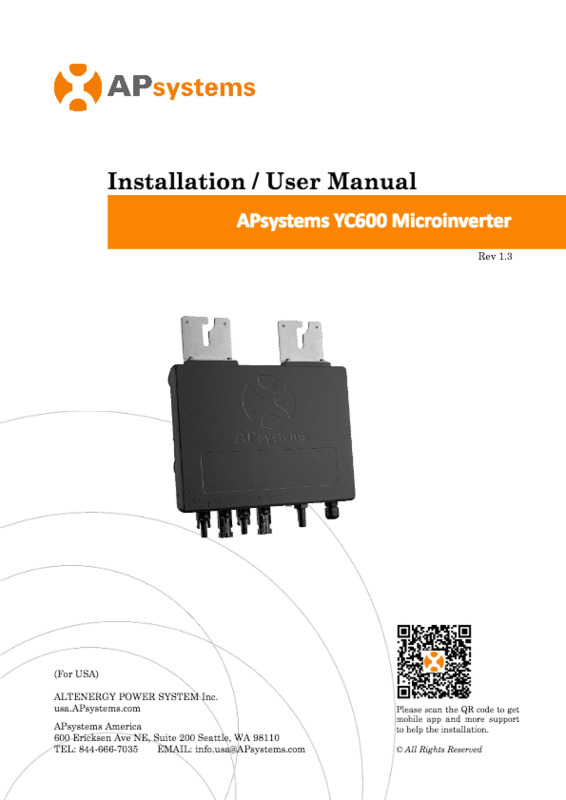 For warranty terms on products outside of North America, please visit our global website and select your region from the Worldwide Locations in the top right corner.